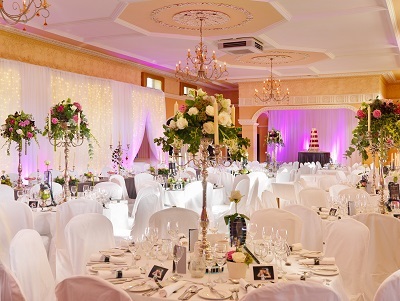 This month, The Best Men Wedding Band darted from one side of Ireland to the other and back again, performing at the luxurious Lodge at Doonbeg Co. Clare, Killashee House Hotel in Naas, Moyvalley in Kildare, The Grand Hotel in Malahide Dublin, Dunboyne Castle in Meath and Ballygarry House Hotel & Spa in Tralee. 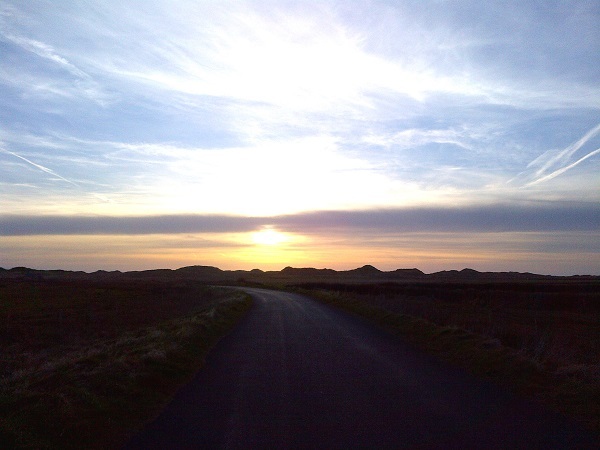 The setting sun on the road to Doonbeg Lodge. 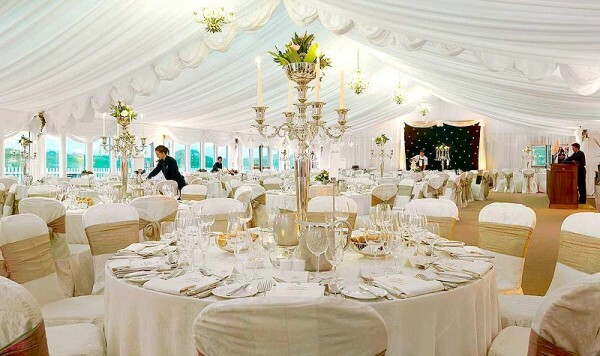 This was our first time performing at a wedding in Ballygarry House Hotel in Tralee. An excellent night which saw our inclusion of sax and trumpet, making us a 6-piece for the evening. There’s a great reason why ‘brass’ additions to tight line-up are still commonplace and have featured in so many famous recordings – it sounds absolutely brilliant. You get the classic brass parts and riffs recreated live (think You Can Call Me Al, Pencil Full Of Lead, Proud Mary and the couple’s 1st dance on this occasion, You Are The Best Thing by Ray La Montagne) and – with our players – you also get the best, most finely-woven solos out there, a sax solo on Blurred Lines, a mariachi-like trumpet solo on La Bamba; it’s wonderful music.The setting sun on the road to Doonbeg Lodge. I ended up being the only band member to stay for the night at Doonbeg Co. Clare, as the rest of the dudes decided to drive through the wee hours back to Dublin. 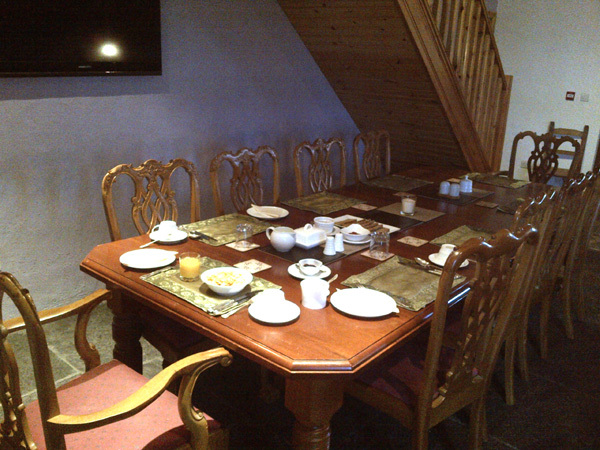 This meant that, the next morning, I had the long dining table in the B&B to myself. So I sat at the top of the table and pretended I was the lord of the manor for a bit, with my banquet of corn flakes. At the Moyvalley wedding, the father of the bride had arranged to sing a song with band, the old time waltz Spancil Hill. He performed this at the start of the night and sang very well in a relatively high key, which is something I naturally like to hear. Probably because my voice is a high baritone, so hearing a voice in a much higher range is a nice change. Jonathan on his ‘tobler’ at the top of the table at Doonbeg. As a baritone, you can find yourself envying singers who can reach skywards for those lofty high notes (recent example, Gotye’s Somebody That I Used To Know) – but when required to sing lower notes, baritones are in the zone. A recent example of a song that’s more baritone would be Blurred Lines by Robin Thicke (the highest note is G and everything above that is sung falsetto). 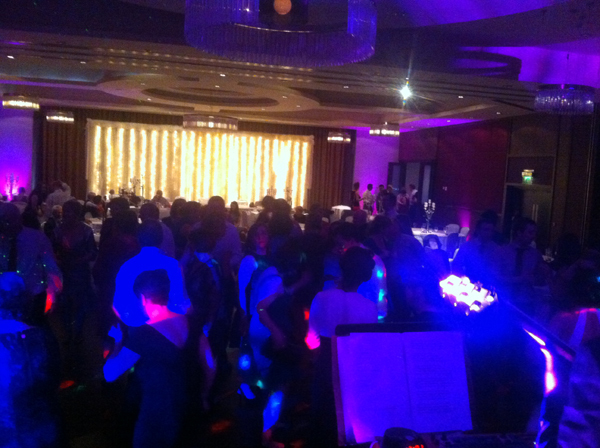 The Best Men performing at a wedding in Dunboyne Castle – dancefloor mobbed! I was kept company on my travels by film reviewer Mark Kermode – well, Mark Kermode in audiobook form, narrating his own recent books. I love film – I even have a degree in it, that’s how much I like movies!